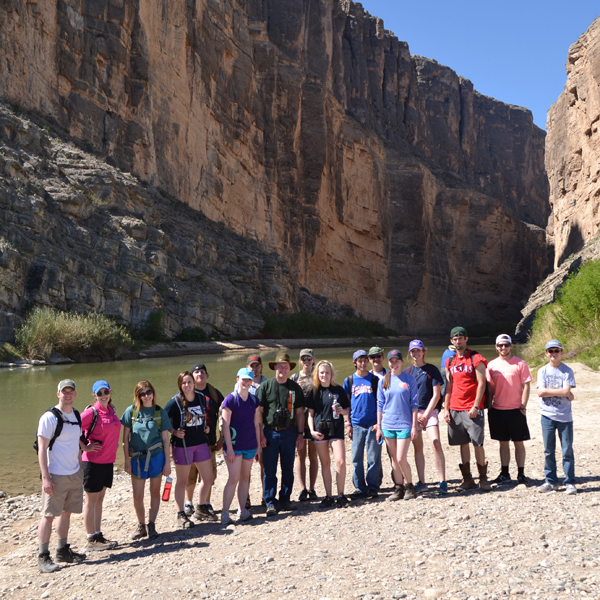 Dr. Tom Lee’s biology class traveled to Big Bend to do field work in mammalogy. A number of groups of Abilene Christian University students and faculty, and some alumni, devoted their Spring Break week March 9-15 to travel for academic experiences, often with missions opportunities. Several shared their experiences and images with us. Bighorn sheep the group observed in the desert mountains of southwest Texas. Three students accompanied Dr. Alan Lipps (’93) of ACU’s School of Social Work to the Chickasaw nation on Native American lands near Ada, Okla. 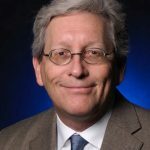 They were hosted by former ACU marriage and family therapy professor Dr. Waymon Hinson, who is executive officer of the Chickasaw’s Division of Family Resources. Senior Abbie Rose, freshman Casey Ellis and sophomore Astrid Tzoc met longtime Chickasaw nation governor Bill Anoatubby; discussed history, culture and language with Joshua Hinson (’01), director of the tribe’s language revitalization program; experienced cultural sites; visited with Department of Family Services secretary Jay Keel; met local social work clients; and gained an understanding of how local, state and federal programming intersects on the Chickasaw nation. ACU faculty, students and alumni assisted with medical clinic work at LiveBeyond in Haiti. Nine pre-health professions majors were joined by Dr. Greg (’80) and Dr. Cynthia (Barton ’81) Powell from the Department of Chemistry and Biochemistry on a trip to Haiti to serve as support staff at LiveBeyond, a multi-facted humanitarian relief effort coordinated by trauma surgeon David M. Vanderpool, M.D. (’82) and his wife, Laurie (Stallings ’81), and their family. 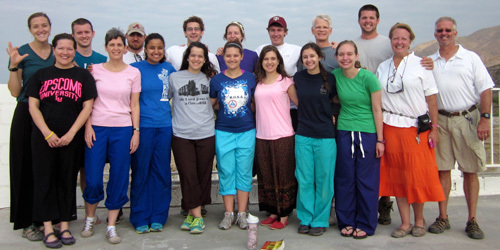 Students from Texas A&M University and a group from the Clifton (Texas) Church of Christ also were a part of the team. LiveBeyond, formerly known as Mobile Medical Disaster Relief, is based in Thomazeau, about a two-hour drive from the capital city of Port-au-Prince. The nonprofit organization provides medical care, clean water and nutritional support to those who are devastated by natural and man-made disasters. Haiti is the poorest nation in the Western Hemisphere and was devastated by a major earthquake in 2010 that killed hundreds of thousands of people. Since then, infrastructure repair has moved slowly, and the country has been plagued with the highest cholera rate in the world. About every three weeks, a medical clinic trip to Haiti is organized by LiveBeyond for volunteers who assist Vanderpool and his staff. The ACU group helped with intake of patients, assisted at a scabies clinic and in general, provided “an extra pair of hands” to physicians and nurse practitioners. They also filled bags with rice and beans they later handed out to Haitian families, and visited an orphanage. The first week in April, ACU nursing students and faculty will participate in the next medical clinic trip to LiveBeyond. Students, faculty and alumni volunteered at Clinica Ezell in Guatemala. About 30 students majoring in nursing and other health professions gained some valuable hands-on experience when they joined physicians and nurses from Abilene and across the nation in a Guatemalan “medical evangelism” mission sponsored by Health Talents International. 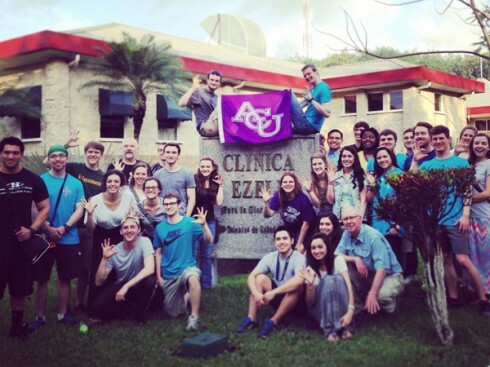 Other ACU students assisted orthopedic surgeons or ophthalmologists during surgery at Clinica Ezell or on HTI mobile medical/dental clinics in surrounding communities. Students also prayed with patients, read scripture and sang for them, and played with children. 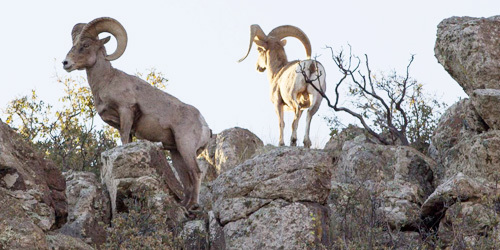 Its good to see a group of students taking spring break to do something with the outdoors. These memories will stick with them more than all the other spring breaks will.